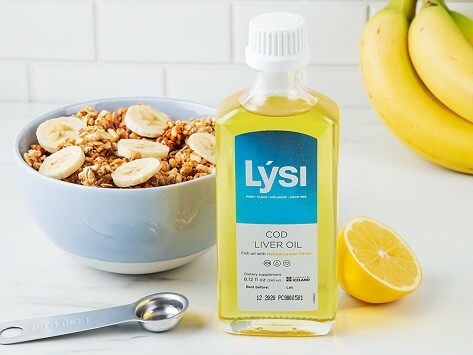 A daily dose of healthy goodness thanks to non-fishy tasting cod liver oil that’s sustainably sourced, refined, and bottled in Iceland. The light, fresh-tasting oil is rich in omega-3 fatty acids essential to brain, eye, and joint function. Vitamins A, D, and E are added to round out the good-for-you formula. You can even add it to cold foods, like salad dressings or smoothies. Dimensions: 7.4" x 2.7" x 1.6"